The restoration of the Johnston House has been a phenomenal task. In 1962, Joan and Malcolm Watkins, while on their honeymoon, drove past the startling apparition on Highway One. The sight of a classic New England salt box on the California coast caught their attention. 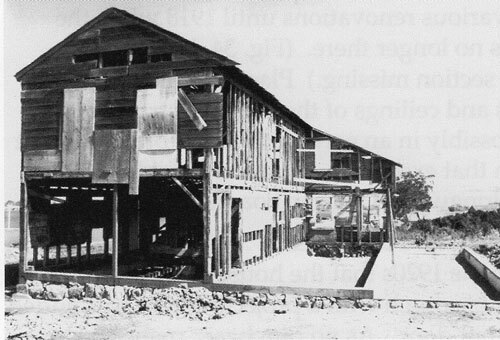 Using Joan's photographs of the house, Malcolm wrote a monograph for the Smithsonian Institution, where he served as chairman of the Cultural History Department. Uncovering his work, preservationists founded the Johnston House Foundation in 1971 with the help of Leslie O. Merrill, director of the San Mateo County Historical Association and the owners of the surrounding property, Deane & Deane, Inc. 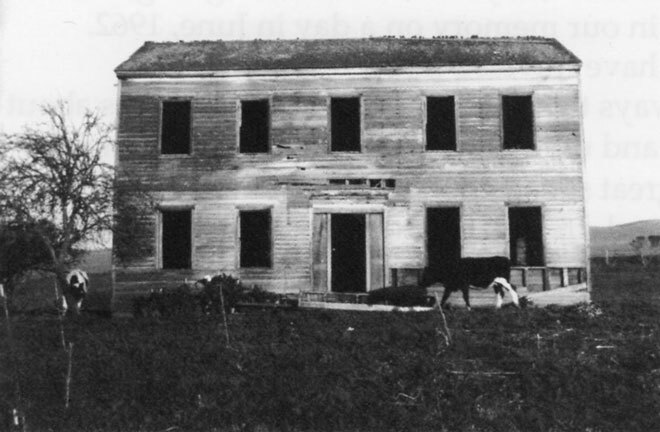 In plumb for 120 years, the house was up on house-jacks, open to the winds, while a new concrete foundation was being poured at the insistance of the County building inspector. Wild winds blew the house down in November, 1976. 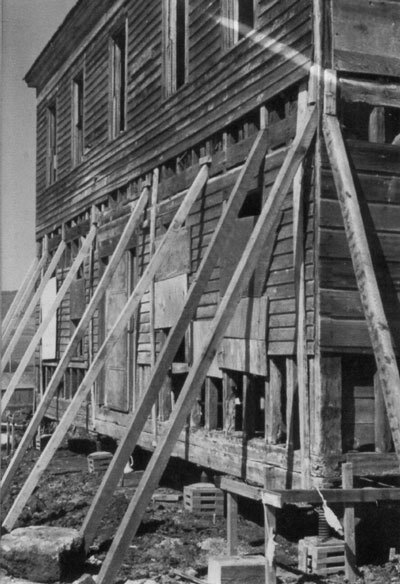 George Watson, consultant to Henry DuPont at Winterthur , who restored Sturbridge Village, moved historic houses to Deerfield Village, Michigan, and was creating documentary drawings of the house, flew out, marked the pieces as in a giant jig-saw puzzle and directed the erection of the timbers to begin the recovery program. With assistance from the California State Office of Historic Preservation and private grants, the house was restored to its former dimensions, painted white and redwood floors and stairways were put back in place. Over the past thirty years, the Foundation's work resulted in the house as it appears today. Much of the work remaining is interior decoration, wallpaper and carpets. The Foundation hired a specialist to research and document the servant's quarters. From an unknown cook, listed as "Sam Chinaman" in the 1860 census, Sam became the last part of the family to be defined. The 22 year old Chinese man, most likely from Canton, was both "converted" to Catholicism and married Cresensia, a Mexican woman, who may have been the Johnston's nursemaid on May 30, 1861.